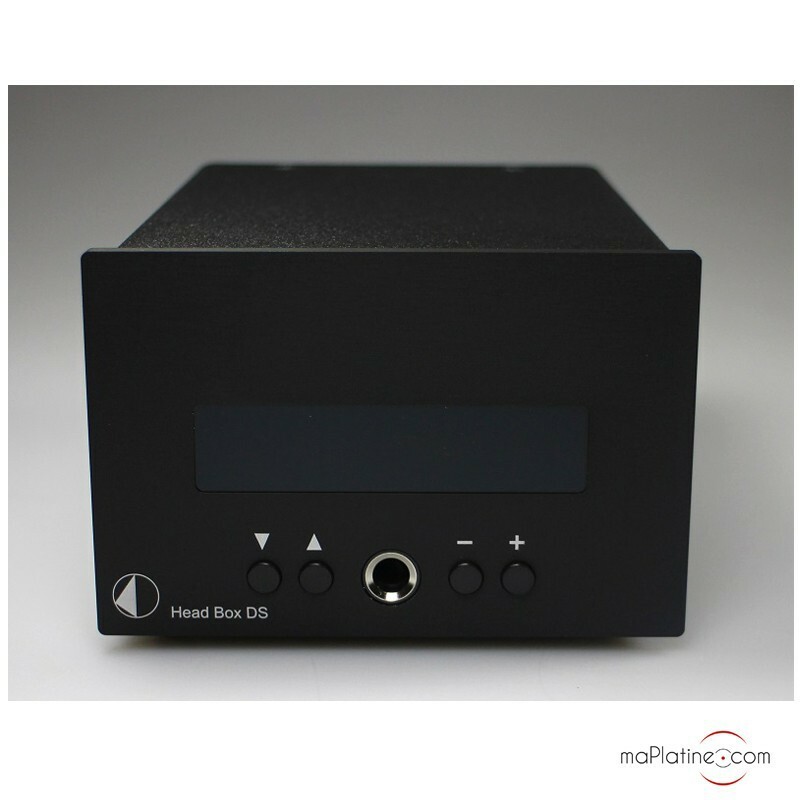 Pro-Ject's Head Box DS headphone amplifier is the manufacturer's top-of-the-line product range in this category. It features the distinctive casing of Pro-Ject's DS range. 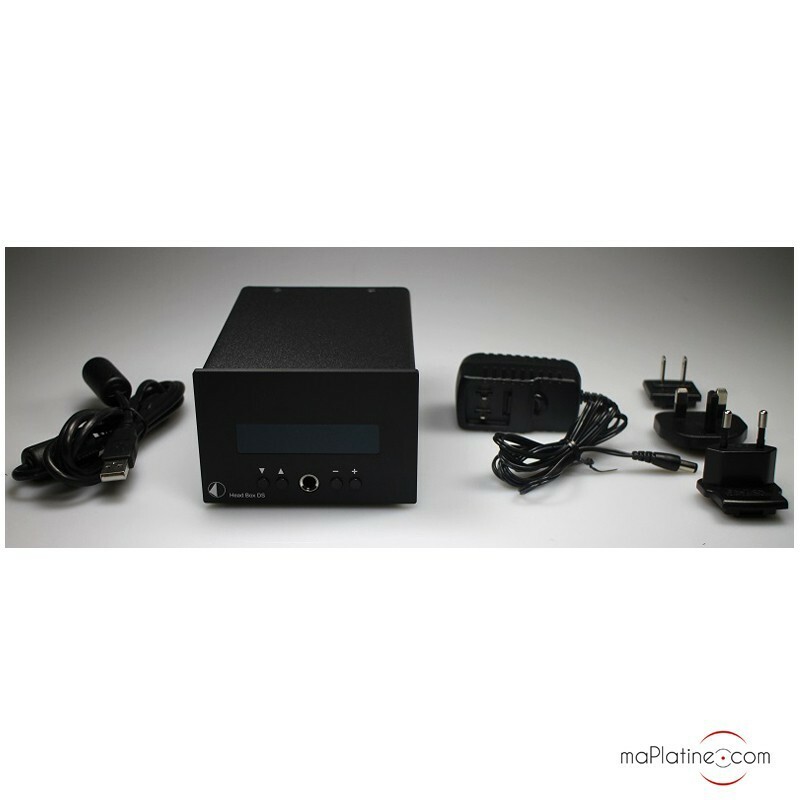 It is built in non-magnetic steel covered with specific satin paint that reduces electromagnetic interference. 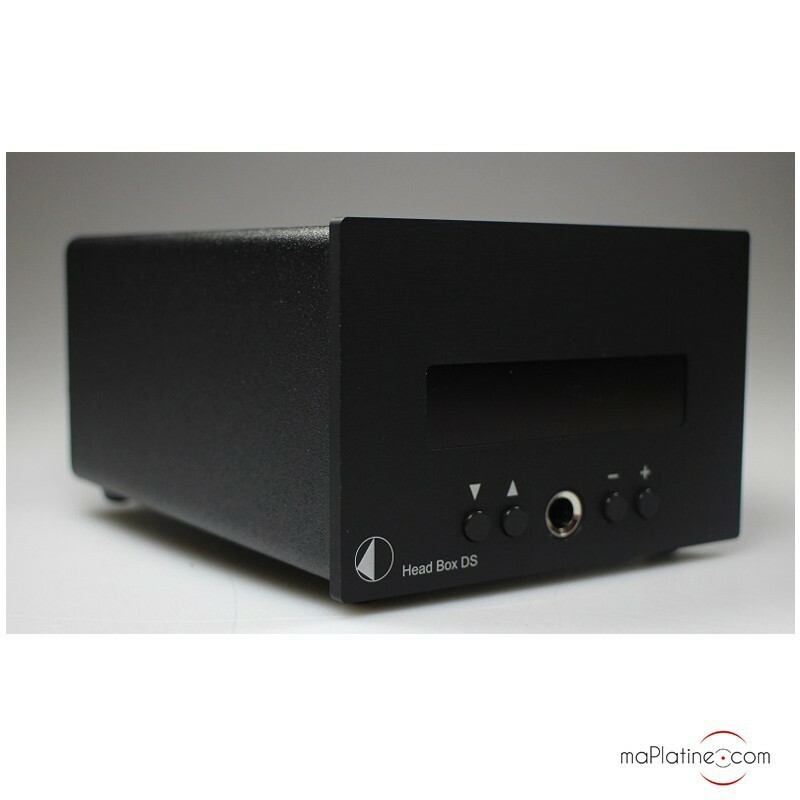 The 5 mm thick front panel is available in a black or natural finish. 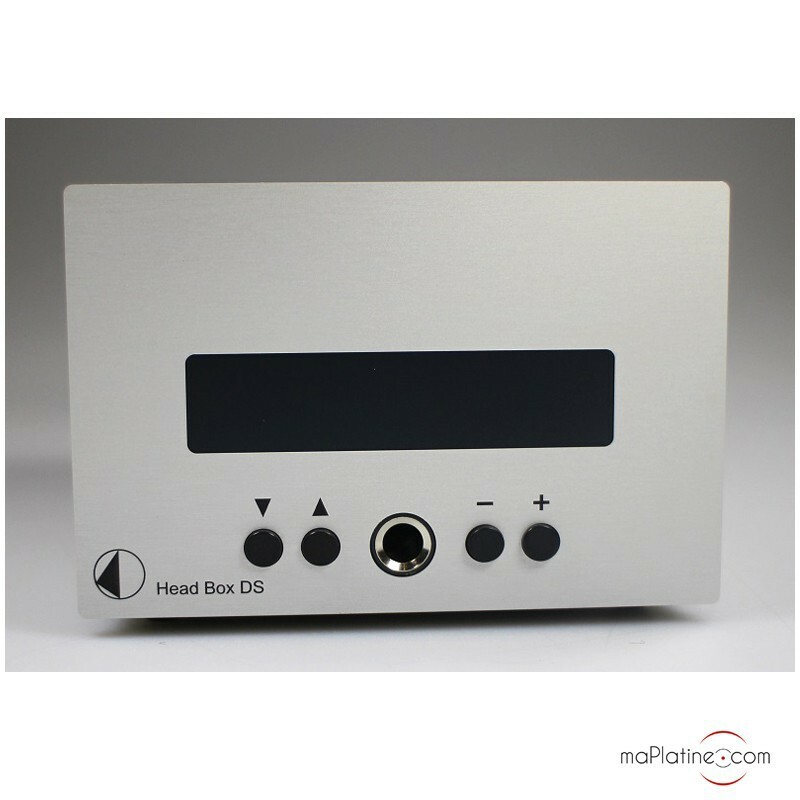 It features a 6.35 mm headphone socket as well a a volume control and a source selector. A small blue digit display shows all the status information. 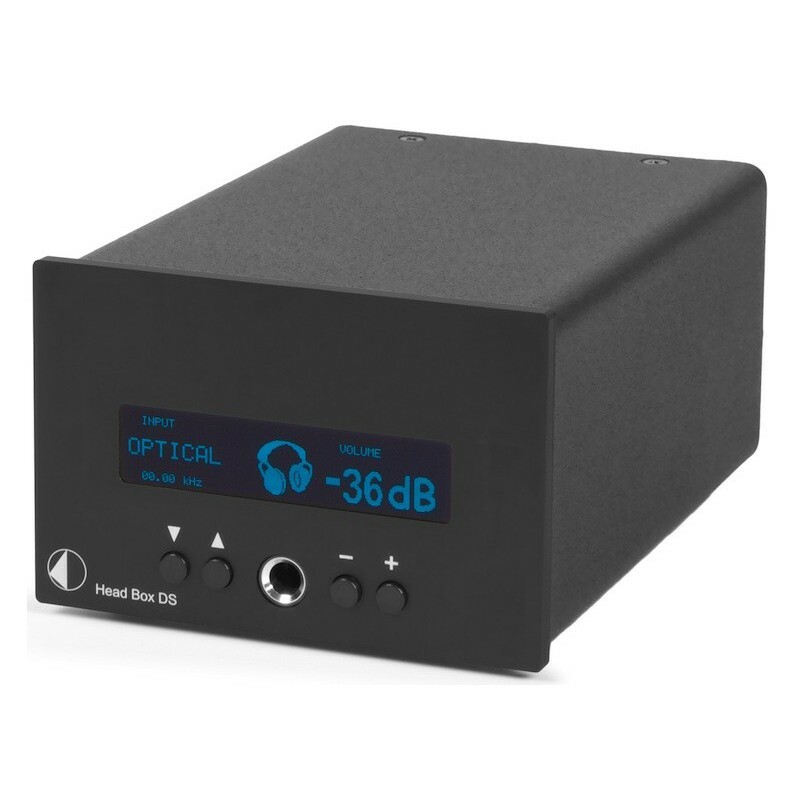 Typically, this headphone amplifier has a digital-to-analogue audio converter. 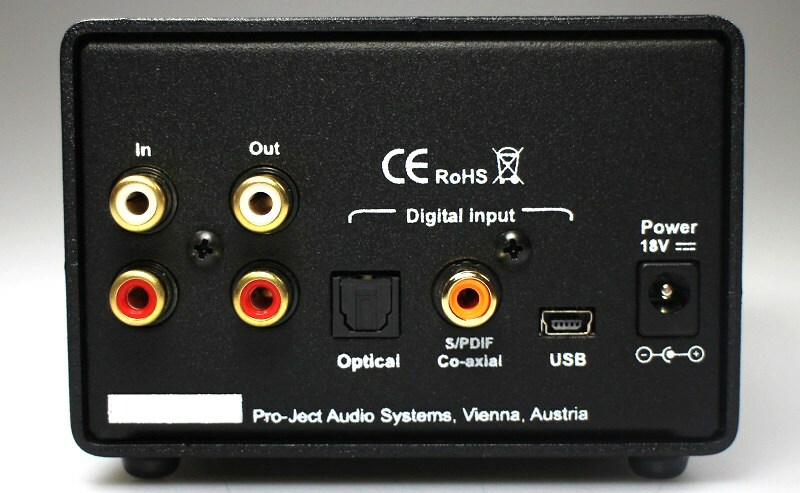 This explains why the rear panel has a USB digital (2.0 asynchronous), optical (Toslink) and coaxial (SPDIFF) input. 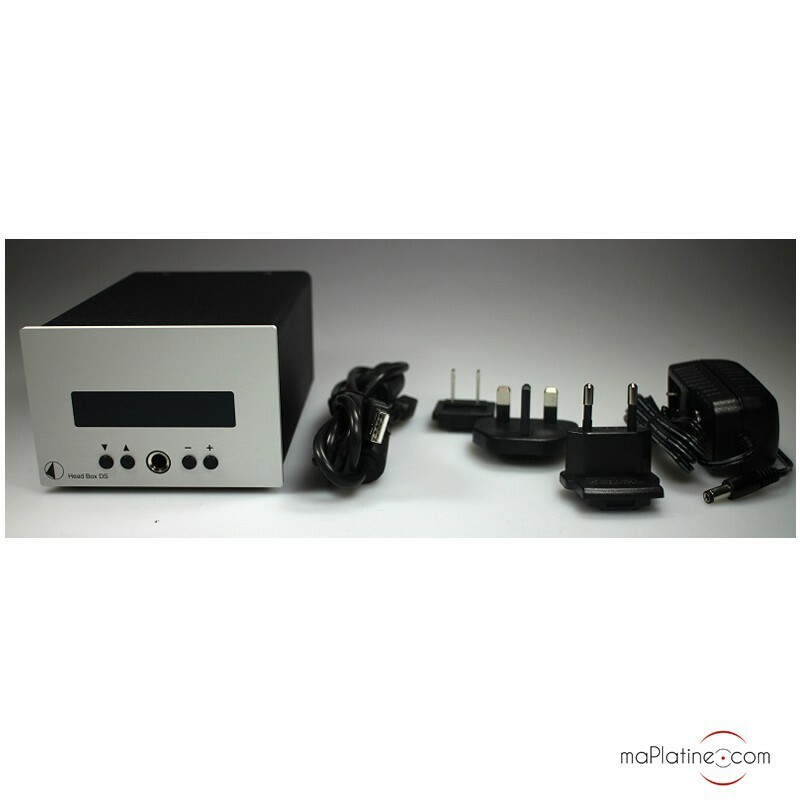 They are supplemented with an RCA stereo analogue input and an RCA stereo output. 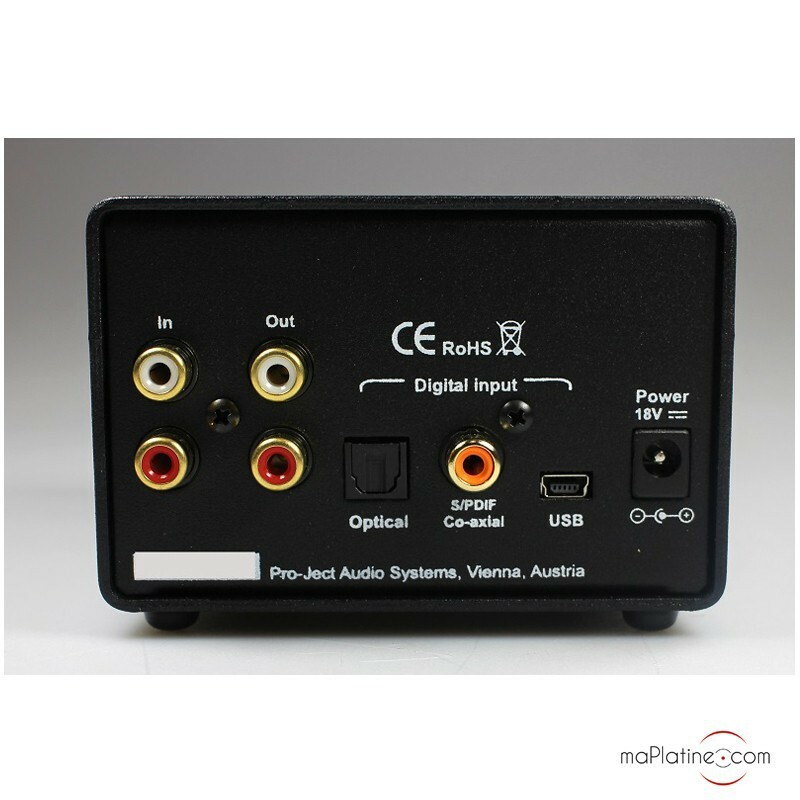 The circuit only comprises high quality components, including a Delta Sigma CS4344 DAC that can process digital workflows from 44.1 to 192 kHz with a resolution of 24 Bits! Reproduction is very vibrant and punchy. You could even say it is physical. Naturally, it depends on the Hi-Fi headphones you use with it and their impedance. 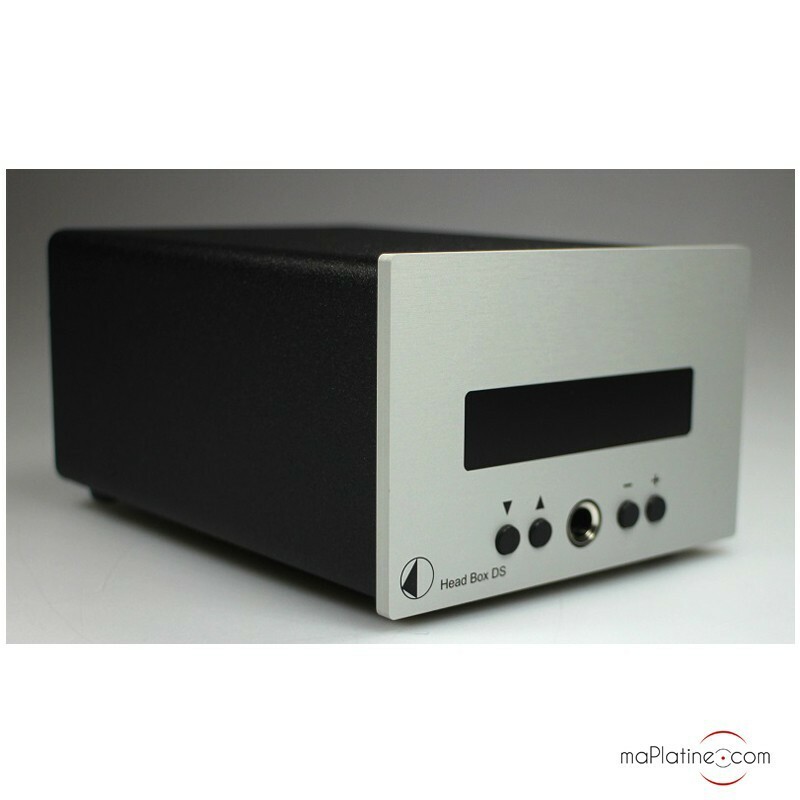 The tonal balance, soundstage and definition are excellent. 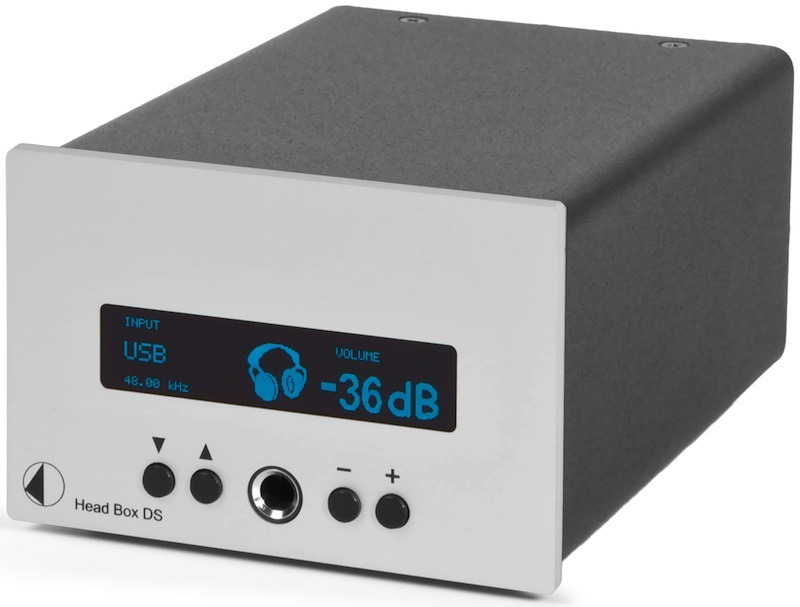 The Head Box DS seemed to perform at its best with headphones with an impedance between 30 and 300 ohms. 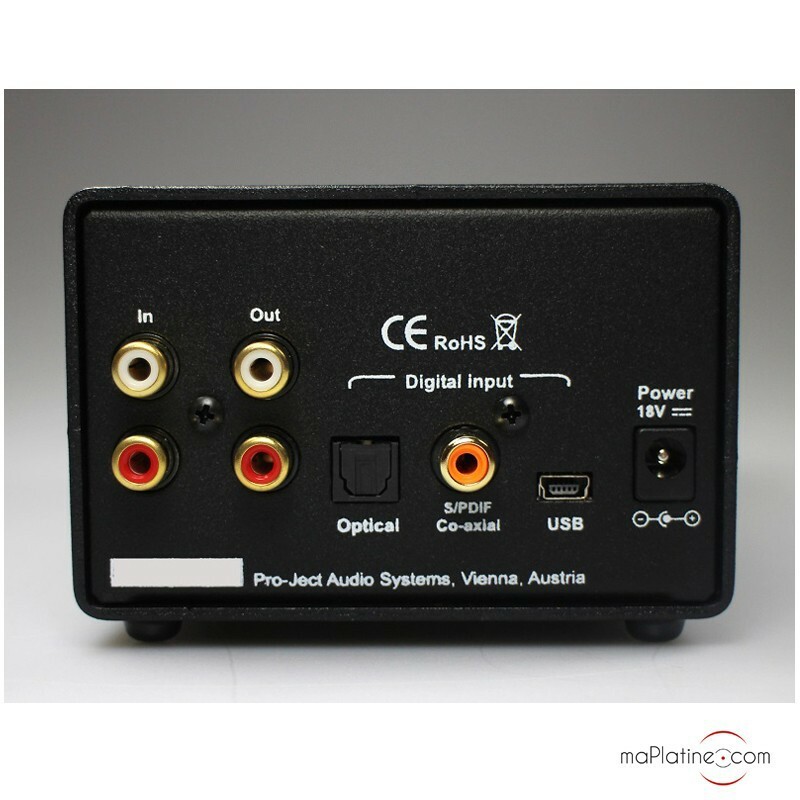 However, we got great results with a famous set of audio headphones with an impedance over 600 ohms. The signal-to-noise ratio is quite significant. Reproduction is devoid of any unwanted noise or hiss. 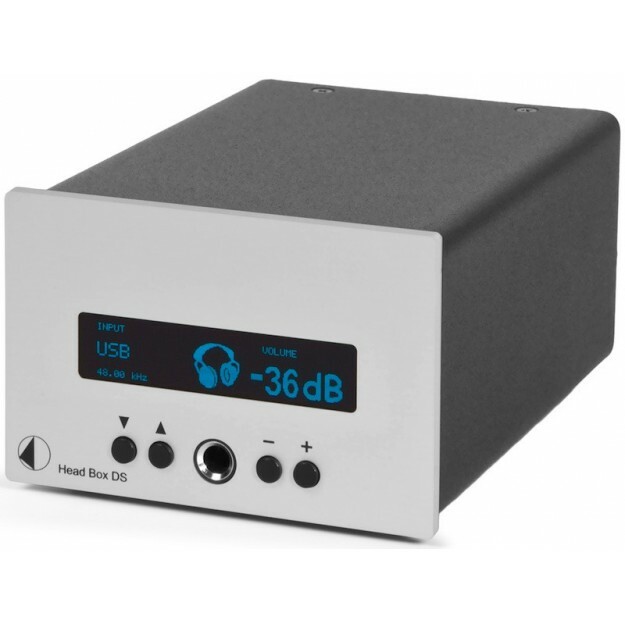 For the price of Pro-Ject's Head Box DS headphone amp, few products offer as many connection features, such versatility in terms of compatibility with headphones and a musicality on a par with some exorbitant audiophile products.